One of the most common facial fractures is a broken nose or nasal fracture. Nasal fracture can be caused by a physical trauma to the face, which may be due to physical fights, vehicular accidents, from contact sports, and other situations that can hit the face or nose hard. A broken nose will really hurt and it will usually bleed and swell. However, not all signs and symptoms of a broken nose or nasal fracture can appear immediately. It may sometimes take 2 days to 3 days before signs and symptoms of a broken nose may appear. Due to the hard facial blow or trauma to the nose, it may cause the nasal septum (thin cartilage equally separating the left and right nostrils) to be deviated. The nose will look crooked or even twisted. There are cases that when the swelling subsides, the crookedness of the deviated septum may not become apparent. However, the doctor still needs to examine and feel for any irregularities in the nasal septum to be sure and to know the extent or severity of the nasal fracture. 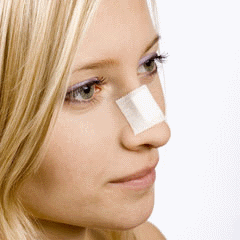 A severe deviated septum may need to be fixed surgically, through septoplasty. A broken nose can cause nasal bones and cartilage to be out of place and can cause nose block. Aside from displaced bones and cartilage of the nose, blood clots and the swelling due to the facial trauma can also cause nose block. With nose block, the person with the broken nose will have difficulty in breathing through the nose and he or she may need to go under surgical treatments to fix the problem and eliminate problems in breathing. 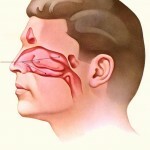 Broken nose or nasal fracture can cause disruptions and tears to the mucous lining surrounding the insides of the nose. 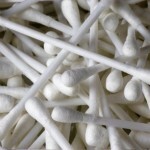 With that, it can cause bleeding and bloody mucus discharges coming out from the nose. With bleeding, the person may also develop bruises around both eyes (black eyes) and bruises under the nose. Disrupted tiny blood vessels in the nose can cause blood to spread underneath the skin surrounding the eyes, which is responsible for a person’s black eyes. The nose and the surrounding tissues will swell and painful after the trauma. The person with a broken nose may be in pain if anyone will touch his or her skin in his nose or its surrounding tissues.